One of the worst things you can face as a homeowner is a fire in your home. Not only can it be life-threatening, but it can leave thousands of dollars’ worth of damage in its wake. The one good thing about an accidental fire in your home is that it can be prevented with a few proactive steps. Here’s how to prevent a fire in your home. Spring is here, but that doesn’t mean the nights aren’t chilly. Many home owners are still using their heating system or space heaters this time of year, and heating your home is one way many home fires are started. Be sure to have your central heating system professionally inspected and cleaned each season. And if you use a portable electric space heater, do so with plenty of space between it and any curtains, bedding, or anything else flammable. A good rule of thumb is to keep at least three feet of clearance around your heater. Electric equipment is another way home fires are can start quickly and silently. To avoid this, make sure you are familiar with all of your electrical equipment. If anything is faulty, it is time to be retired. If you notice any frayed or torn cords or wires, make sure they are repaired or tossed out. Keep cords out from under furniture or near flammable objects as some wires can get hot. Smoking is bad for your health, but it is also poses a risk for fires in the home. Do yourself a favor and quit smoking! If you do choose to smoke, make sure it is done outside. This will also eliminate any threat of second-hand smoke. While they create a cozy ambiance, candles or other open flames are a common source of fire in many homes. If you choose to use candles, make sure they are far from any flammable material or objects. If you have children or pets at home, you also need to be sure that the candle is in a place where it can’t be moved, touched, or knocked over. And if you plan to leave the house, make sure each and every candle is extinguished before leaving. Better yet, choose some battery-operated candles which are safe and offer the same lighting. The kitchen is a known source of heat, which means you should be careful when cooking especially as it pertains to fires in your home. In fact, stove-top cooking is the leading cause of home fires. If you begin cooking, follow through. Problems arise when something is left on the stove and forgotten about. When the stove is on, it should have your full attention. While the above tips will help you to prevent a home fire, it is important to have a plan in case of an emergency. Talk with your family about emergency exits and your emergency route in a worst-case-scenario. If you have window wells, make sure your window well covers are easy to open from the inside. The window well covers from Windowell Expressions protect your home while providing an easy emergency exit. Call them today with any questions you may have about basement emergency exits! This entry was posted in Blog and tagged Window Well Clear Covers, Window Well Covers, Window Well Custom Grates, Window Well Foundation Liners, Window Well Liners, Window Well Standard Grates on March 27, 2017 by admin. Window Well Liner Replacement – How Will I Know? Unfortunately, window well liners don’t last forever. But if you’re a homeowner how will you know when it’s time to get a window well liner replacement? There are signs to watch for that will indicate whether or not the time has come. As you go about spring cleaning, take a look for these signs to avoid costly and unnecessary damage to your home. One of the first signs you should be aware of when it comes to window well liner replacement is water damage. If you have a faulty liner or a faulty drainage system, chances are good that you’ll end up with a pool of water adjacent to your basement window after a heavy rainstorm. Even if the water damage isn’t immediate, the wear and tear of your window well liner with prolonged exposure to moisture can cause the frame to rot. What other problems should you watch for if your window well liner is compromised? The seal around your basement window can fail which will lead to seepage from interior concrete surrounding the window. And of course, if there is a major issue with drainage in your window well, water will build up. You should be able to spot this before it gets out of hand, but if you don’t pressure from the water could eventually cause the glass to break and flood your basement. If you have a finished basement, you’ll have to be even more diligent about watching for signs of wear and tear. And because your basement is finished, it’s even more important to make sure you are on top of your window well replacement as damage to a finished basement can get very costly very quickly. Keep a wary nose out for mildew smells that could indicate improper drainage or water leaks. Luckily, exterior signs that you need a window well replacement are a little easier to spot. When you look in your window well, look for signs that the liner has separated from your home. If so, you definitely need a replacement. This is actually an early sign of a liner collapse! A collapsed liner could lead to a shattered basement window as well as other issues so take care of this quickly. You should also inspect your window well liner for any weakness. 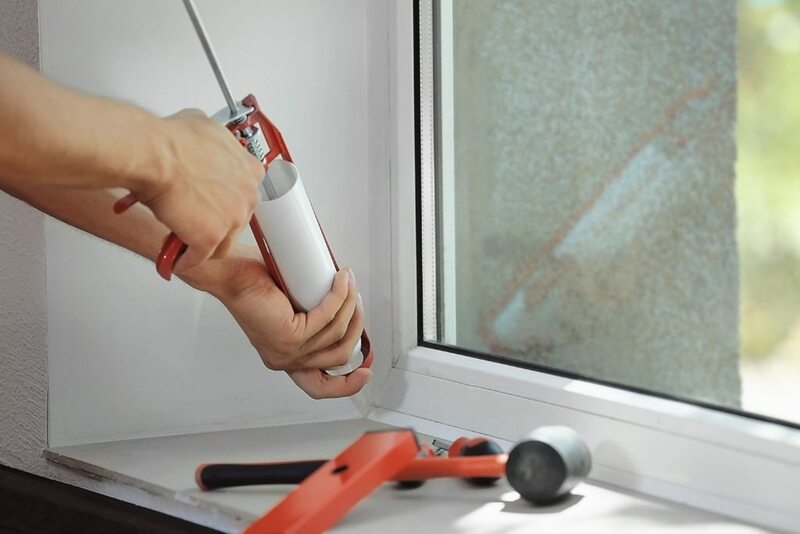 If your liner wasn’t installed correctly (like being attached directly to the window frame) you’ll also need a replacement as soon as possible. In some cases, simply cleaning out your window well drain may solve some of these issues with unwanted water in your basement. But if your stand in need of a window well liner replacement, be sure to have it taken care of by professionals so that you are protected for years to come. Windowell Expressions has been in the business since 1995, so whether you’re in the market for a new custom window well liner or a replacement, don’t hesitate to give us a call! This entry was posted in Blog and tagged Window Well Clear Covers, Window Well Covers, Window Well Custom Grates, Window Well Foundation Liners, Window Well Liners, Window Well Standard Grates on March 9, 2017 by admin.